Welcome to Off-Site Business Services, Inc.
At Off-Site Business Services, we offer a turnkey solution to our clients so you have one contact to go to for all of your needs. We handle all the coordination and deliver you a completed project. Off-Site's staff can efficiently and cost-effectively handle your accounting books with accuracy and fast turnaround time. Off-Site provides a wide range of administrative services based on each client's needs. Once we learn your system, we can do anything together! Our services are tailored to fit your needs. Whether you need one service or several, you can count on us to provide efficient, cost-effective service by a qualified, specially trained and experienced employee assigned to your account. Our main goal is customer satisfaction. Your business needs and sensitive information will be handled professionally and confidentiality is guaranteed. Try Us and We'll Tell Everyone You Know, for FREE! *You are responsible for setting up and purchasing an email service with a third-party provider (Constant Contact or iContact). Some restrictions apply. When asked which medium consumers would like to receive updates from, 90% preferred an email newsletter. Call us for details. 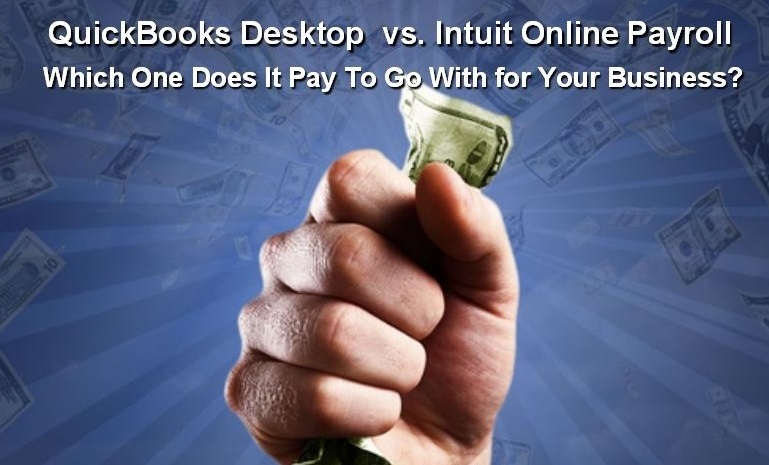 QuickBooks Desktop vs. Intuit Online Payroll – Which One Does It Pay To Go With for Your Business?